Frontify lets yous create your complete and beautiful style guide in less than 5 minutes! It’s simple, fast and fun. Document and maintain your brand or design guidelines with an online tool. Forget about the time consuming manual creation of PDF style guides. Frontify Style Guide makes professional style guide creation a fast and fun experience. 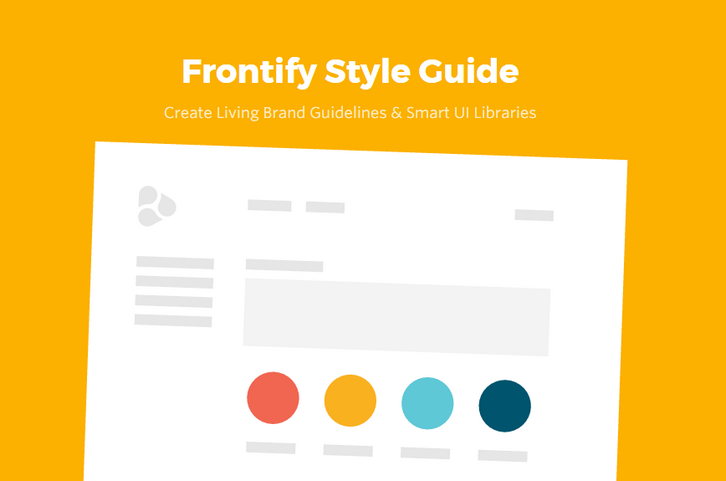 Frontify Style Guide is build to be usable without learning, so that you can get started instantly. Our educational material, tutorials and documentations are meant to provide best practices, deeper insights and help inspire our users. Start instantly from scratch, choose between own or various predefined style guide templates. Templates do not only contain editable structure, but also helpful content suggestions and style guide best practices.